Step 1. 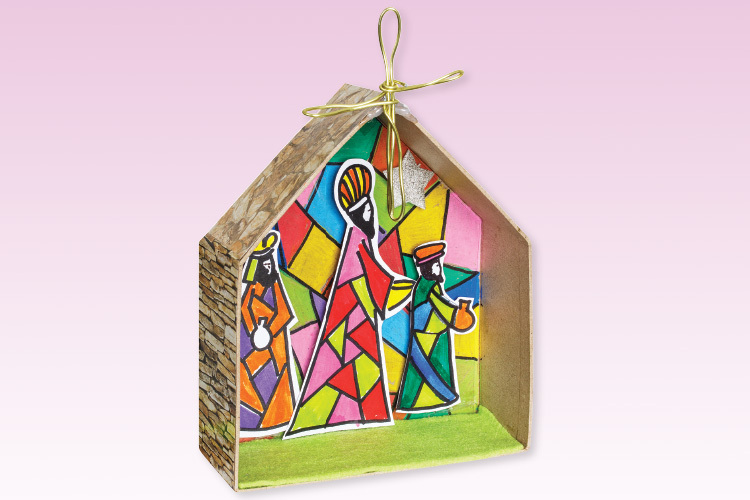 Take a papier mache house. Collage the outside with decorative paper. Step 2. Create an abstract design on the inside of the house with Posca Markers. Lay felt on the bottom of the inside of the house. Step 3. On a separate piece of white paper draw an outline of the three wise men and colour in. Cut out the figures and use foam mounting tape to attach to the inside of the house. Step 4. Embellish the house with adhesive Christmas decorations and soft wire.